Eisai designates a Chief Compliance Officer, who is also the corporate officer responsible for internal control, to supervise the Corporate Compliance and Risk Management Department and promote compliance and risk management. Eisai defines compliance as “the observance of the highest legal and ethical standards” and positions it at the core of management activities. Eisai implements its compliance program that consists of delivering the message of top management, developing the Code of Conduct and other relevant rules, conducting educational activities, establishing a training system as well as providing consultation services. In risk management, Eisai defines risk as “the threat or probability that an action or event, will adversely affect the achievement of corporate and/or organizational objectives.” To contain risks within acceptable levels, Eisai is carrying out various initiatives including establishing, developing and implementing internal control systems as well as conducting internal audits. The Corporate Compliance and Risk Management Department works with compliance departments and compliance personnel in each region to promote compliance globally. These compliance promotion activities periodically undergo objective reviews by a Compliance Committee that consists of external experts such as lawyers and consultants from Japan and overseas. Furthermore, the Compliance Committee provides advice and recommendations to the Chief Compliance Officer. Eisai believes that fostering compliance awareness in all officers and employees is essential for ensuring that each officer and employee always engages in corporate activities based on compliance. 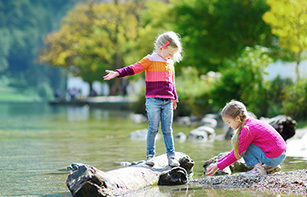 For this reason, Eisai created a Compliance Handbook, which outlines Eisai Network Companies (ENW) Charter of Business Conduct and the Code of Conduct. The handbook is available in 17 languages, and is distributed to all officers and employees in all Eisai network companies. In addition, all officers and employees declare every year that they understand and abide by the contents of the Compliance Handbook. Furthermore, a “Code of Conduct for Business Partners,” which covers the behavior expected from all business partners and employees, was issued and rolled out globally in fiscal 2017. Eisai has also created a Compliance Card that contains the contact information for the Compliance Counter and shared it with all officers and employees in Eisai network companies in Japan. Eisai continues to conduct training through various means such as compliance workshops (including those designed for directors and officers), e-learning and distribution of case studies in order to foster compliance awareness. The Compliance Counter serves as a point of contact for the whistle-blowing system in Eisai network companies and is set up globally across Japan, the U.S., Europe, China, Asia and other countries. It is a consultation/contact resource that all officers and employees can use to seek assistance with interpreting legal provisions and finding answers to questions about whether their own conduct, or the conduct of their supervisors or co-workers conforms to the compliance policies. The Compliance Counter handles many topics, including harassment, personal information protection, copyright, ethics guidelines for public servants and industry self-regulation. In Japan, the Compliance Counter also provides resources such as whistle-blowing system operated by outside lawyers and contact desk operated by the external counselors, creating an environment that serves to further promote compliance. 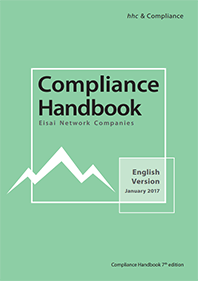 A compliance awareness survey was conducted at all Eisai network companies in fiscal 2017. This survey analyzed and assessed compliance awareness for each ENW employee as well as the status of activities, and the results were utilized to further enhance the compliance program. 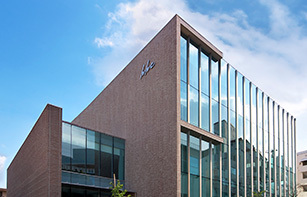 Based on its strong determination to undertake honest business activities, Eisai formulated the Corporate Anti-Bribery and Anti-Corruption (ABAC) Policy for Eisai network companies in January 2012. This policy provides common rules for Eisai network companies when dealing with external parties in line with efforts to carry out business activities without bribery or corruption across the Eisai network companies. As one concrete initiative, Eisai introduced the ABAC due diligence system that uses a webbased system for receiving responses to a globally common questionnaire on the possibility of bribery and corruption that is sent out beforehand to companies with which we plan to newly undertake transactions. By using this system, we have already achieved certain results in reducing risk associated with new business transactions. Based on the thinking of a risk-based approach, this system is being operated in the Americas region that includes Mexico, Brazil and Canada; the EMEA region that encompasses Russia and Eastern Europe; China, India, and countries in Asia. Additionally, Eisai is moving ahead with the advanced introduction of a system at overseas subsidiaries that detects signs of potential fraud by monitoring accounting and financial data. Eisai conducts ethical promotion globally in accordance with compliance requirements. 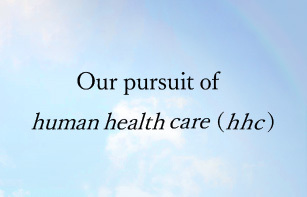 We disclose information on payments to medical institutions and patient groups, in accordance with the Japan Pharmaceutical Manufacturers Association (JPMA) guidelines, and the regulations and guidelines of each country in order to have broad societal understanding that our corporate activities are undertaken based on the highest ethics. Eisai has set forth a code of conduct in the Compliance Handbook that is distributed to all employees to ensure compliance-based promotion. The following is an excerpt from the handbook. Eisai markets and promotes its pharmaceutical products worldwide. We provide accurate and balanced scientific information, and promote our products only for the uses for which they have been approved by the applicable regulatory authorities. Off-label and false or misleading promotion and promotion of pre-approved drugs are prohibited as they may raise legal, regulatory and product liability issues. The relevant department must approve the content of any promotional materials, and we must avoid improper promotional activities. If we are engaged in promotional activities, we are expected to be familiar with the rules governing promotional activities. In March 2012, the International Federation of Pharmaceutical Manufacturers & Associations (IFPMA) announced the “IFPMA Code of Practice” (“IFPMA Code”) as a code covering not only marketing activities but also interactions with healthcare professionals, medical institutions and patient organizations, as well as the promotion of medicines. In line with the intent of the IFPMA Code, the “JPMA Code of Practice” was established and implemented by the JPMA. Then Eisai, as a member of JPMA, established the “Eisai Co., Ltd. Code of Practice” in line with the aforementioned Code. All the executives and employees at Eisai engage in corporate activities with the aim of earning the trust from society by ensuring high level of transparency, ethics and corporate accountability in corporate activities involving researchers, healthcare professionals and patient organizations. 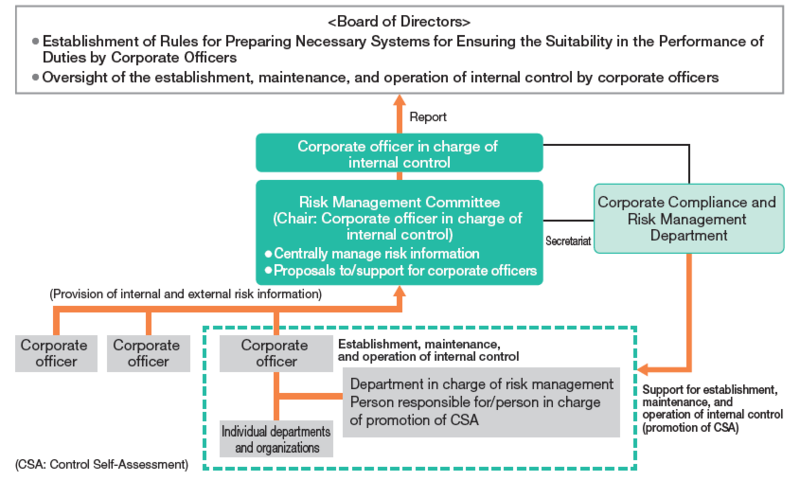 In accordance with the Companies Act, Eisai's Board of Directors formulated the “Rules for Preparing Necessary Systems for Ensuring the Suitability in the Performance of Duties by Corporate Officers.” These rules stipulate that all corporate officers should identify the risks in their duties and establish, develop and implement internal control systems. In response, the corporate officer responsible for internal control established the “ENW Internal Control Policy”, and is establishing, developing and implementing internal control systems covering all Eisai network companies as well as implementing initiatives for containing risk within acceptable levels. Of all the risks identified by corporate officers and department managers through Control Self-Assessment (CSA), critical risks are uniformly managed by the Risk Management Committee. Also, Eisai quickly detects its own potential risks through continuous monitoring for external corporate misconduct and prevents these risks from occurring by promptly responding to risks. The identified risks are evaluated in terms of the degree of impact based on the magnitude of the inherent risk (impact and likelihood of occurrence) and the level of internal control (status of establishment, development and implementation). The priority level of risk response is then determined and risk management is efficiently undertaken. One of the tools used by Eisai for risk management is CSA. CSA is conducted yearly for all department managers in Eisai network companies to identify and evaluate risk in their own structure. Identified risks are dealt with through workshops and others. In addition, CSA ensures the effectiveness of risk management by identifying critical company-wide risk through interviews and submitting reports to corporate officers and by following up on the implementation of risk response by corporate officers. Internal audits are voluntary audits that differ from the audits conducted by the Audit Committee and the accounting audits. The Corporate Internal Audit Department is established under the corporate officer responsible for internal control. While implementing internal audits globally, the department cooperates with internal audit departments in Japan, the U.S., Europe, China and Asia. These internal audits independently and objectively assess whether the execution of duties by corporate officers is being undertaken appropriately and efficiently. The results are reported to the Executive Committee and to the Audit Committee. 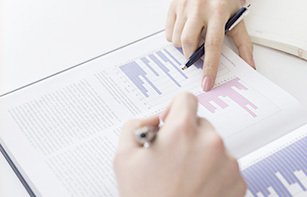 To assure high-quality audits that conform to global standards, the Corporate Internal Audit Department undergoes an assessment every year by an external assessment committee composed of outside experts in accordance with the standards of The Institute of Internal Auditors (an international professional association for internal auditors based in the U.S.).